The influence of visual art on Kate’s poetry. In an article titled “I Keep Coming Back to What Gives Me Courage: An Interview with Kate Braid”, Kate discusses her new book of poetry, Elemental, and her realization that she is “writing more personally” in recent works. 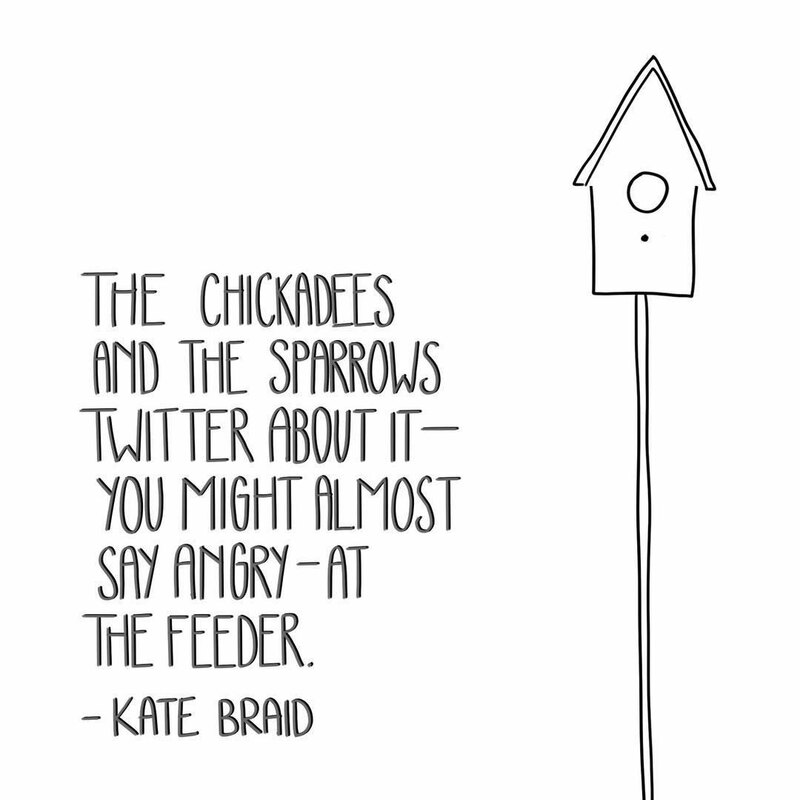 Read the poem ‘Birds’ From Kate’s new book Elemental, and see how she answers their question “What’s the most surprising thing about being a writer?”. In 2010, Kate was interviewed by Sheryl McKay for CBC Radio’s North by Northwest about A Well-Mannered Storm: The Glenn Gould Poems. You can hear the interview here. In this recording, Kate talks with Annabel Lyon and Thomas Trofimuk about putting words into the mouths of real characters.